Windows 10 Mobile’s adding a much-needed tool to its mobile payments arsenal even as the operating system slides into apparent slumber when it comes to actual phones. Microsoft’s pushing an updated version of its Wallet app out to Windows Insiders signed up for “Fast Ring” previews, complete with NFC tap-to-pay support. Wallet 2.0 was leaked earlier this month, but Windows Central reports that the update is now live for Insiders using a small handful of devices, including the Lumia 950 and 950 XL. It’s expected to release to the general public as part of the big Windows 10 Anniversary Update coming later this summer. 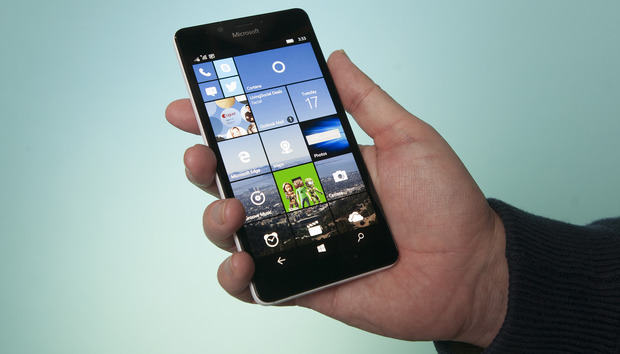 As is all too common with Windows Phones, Microsoft’s playing a bit of catch up here. Apple’s Apple Pay launched in 2014, while Google’s Android Pay released last September. But Microsoft’s NFC implementation benefits from the same “late to the party” advantage as Android Pay did, as it should work with any retail terminal that already supports Tap to Pay functionality. If you can pay with Apple Pay or Android Pay, Wallet 2.0 likely works as well (once you’ve saved your credit or debit card info inside the app, of course). Wallet 2.0 also supports loyalty cards from several U.S.-based retailers so you can get your discount shopping on. It’s unclear whether or not this is a U.S.-only rollout or even which Windows Phones will be supported in the long run, however. The story behind the story: Windows 10 Mobile’s long-awaited NFC payment support comes at a time when Windows Phones themselves appear to be going dormant. Microsoft’s flat-out stated that in-house Windows Phone hardware isn’t a priority, despite its Lumia brand accounting for over 90 percent of the Windows Phone market. At the same time, the company’s been busy porting beloved Windows Phones features like Cortana and the Word Flow keyboard over to rival operating systems. But since all Windows 10-based devices—including phones, PCs, tablets, and even the Xbox One—share the same core now, continuing to build functionality like this into the operating system leaves Windows Phones ready to spring back to life if Microsoft’s mobile ambitions ever start to gain traction.